At the same time, the neighborhood retains its connection to the art-world with galleries and artist studios still present in the area. Down by the East River, Brooklyn Bridge Park, which now incorporates the Empire-Fulton Ferry Park, gives residents a chance to run, cycle, stroll, and picnic in a beautifully developed green space. The neighborhood is well connected to the rest of the city in a variety of ways. Both bridges provide a beautiful scenic walk to the financial district while the Fulton Ferry offers a five-minute ride across the East River to Manhattan. Also the A, C, F, 2 and 3 subway lines provide access to most parts of Brooklyn, Queens, and Manhattan. 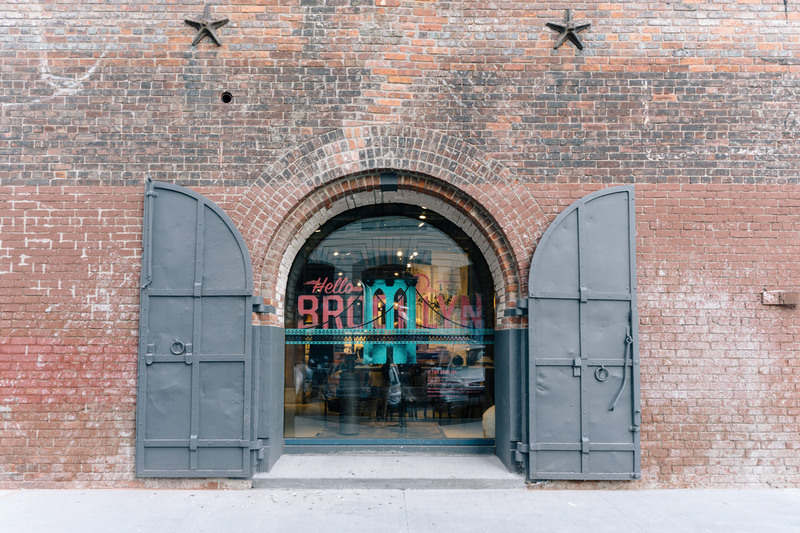 Converted industrial spaces, luxury condos, and 19th century brownstones are among the many living options in Dumbo and its residential enclave, Vinegar Hill. The later maybe only ten blocks in size but its real estate packs a punch with a range of historic homes including Greek Revival houses and pre-civil war frame houses. Those looking for Dumbo apartments will find loft conversions with views of the East River, walk-ups and high rises available. Artists who moved into the area in the 1970's named DUMBO which is short for Down Under Brooklyn Bridge Overpass. It was once a heavily industrial area full of factories and storehouses, so much so that in the early 20th century it was the fourth biggest manufacturing center in the country. Many of these industrial buildings were granted landmark status in 2007 by the Landmark Preservation Commission. Vinegar Hill gets its name from the Battle of Vinegar Hill, which took place during the Irish Rebellion of 1798. During the 19th century it was known as 'Irishtown' but by the 1930's 75% of the population were Lithuanian immigrants. The growth of Brooklyn Navy Yard during the 19th century also helped to spur the growth of the neighborhood. Brooklyn Bridge Park is a beautiful area of newly developed green space, which contains Jane's Carousel, a restored carousel built in 1922 with 48 carved horses and two chariots. The park also has a wide variety of amenities ranging from restaurants and bars through picnic areas, gardens and dog runs. There's even climbing at Dumbo Boulders, North America's largest outdoor bouldering space. The DUMBO ferry service can also be found in the park and offers a scenic way to travel between waterfront communities in the city. Launched by publisher Powerhouse books, Powerhouse Arena is a bright, airy space that functions as a boutique bookstore, event and exhibition space. 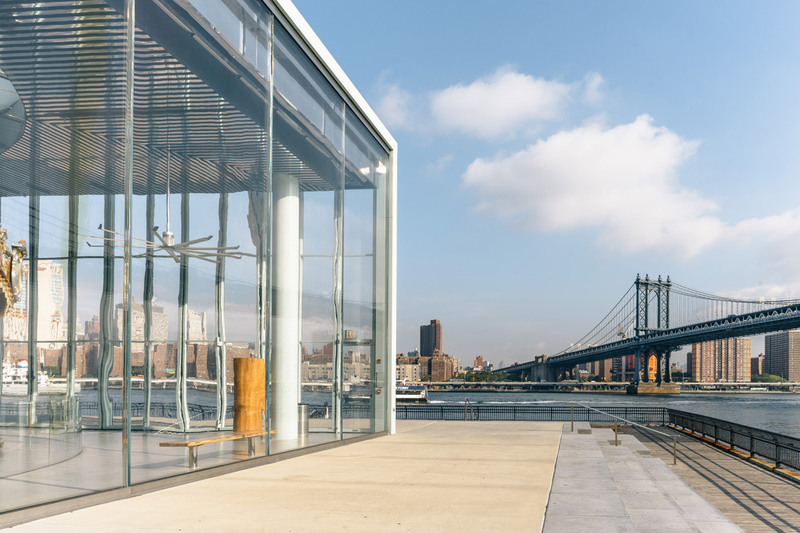 The arena's versatility is only matched by its East River waterfront views. The area became an artist's enclave in the 1990's, and this connection remains. For example, Klompching Gallery is one of the leading spaces for contemporary fine art photography. It holds rotating exhibitions throughout the year featuring an extraordinary roster of artists. A.I.R. Gallery is the first all-female artist's cooperative gallery in the United States. It was founded in 1972 with the objective of providing a professional and permanent exhibition space for women. Gleason's Gym has played host to dozens of world champion boxers over the years, everyone from Roberto Duran to Mike Tyson has trained here. They also offer training sessions for those looking to get a work out in. Stroll through the Vinegar Hill Historic District, and you'll see fine examples of Greek Revival and Federal style buildings dating back to the 1800's. In the Brooklyn Navy Yard, you'll see the Commander's House, a mansion that was home to the head of the facility. Modern Anthology keeps the residents looking sharp with a beautiful selection of men's and women's clothing and furniture featuring many small independent labels. Women's fashion is well catered for by Trunk, which sells locally made clothes, jewelry, and accessories, and promises never to compromise on style or quality. Finally, Front general Store is a suitably retro store selling vintage clothing, shoes and accessories for men and women. The items in the this expertly curated store are unique finds. Often times they imported European and Japanese clothing that you won't find in any other vintage store in New York. Once the area was perhaps best known for Grimaldi's, thought by many to be the very best coal-fired brick oven pizza in New York, if not the nation. This place can trace its history back to the very first pizzeria in America in 1905. The former owner, Patsy Grimaldi, has also opened another pizza place in the neighborhood called Juliana's, which also serves an excellent slice. Located in Brooklyn Bridge Park, Cecconi's is an elegant and high-end Italian restaurant serving wood-oven pizza, homemade pasta and a range of entrees. Accompanying the fine food are stunning views of the East River. Another waterfront gem is Celestine, which serves wood-fired Mediterranean and Middle Eastern food with a well-curated wine and cocktail list. Atrium brings a contemporary French fine dining experience to DUMBO in industrial-chic digs. Then there's Luke's Lobster located in the historic Smokestack building. They serve everything from bisques to chowders and of course, lobster rolls. Among Vinegar Hill's Belgian blocked streets you'll find Vinegar Hill House. The 40-seat space is cozy and inviting with an outdoor area that's great in the warmer months. It serves seasonal New American and is perhaps best known for its juicy Red Wattle Country Chop. 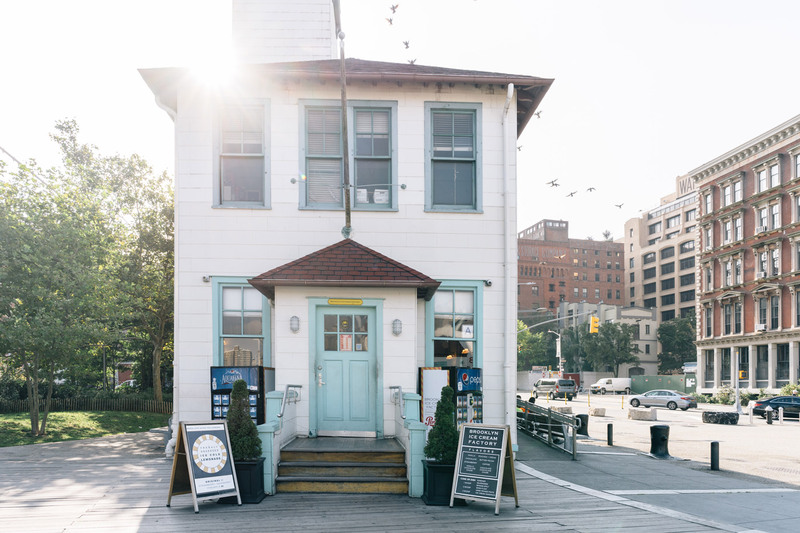 On a converted coffee barge moored at Fulton Ferry Landing, you'll find Bargemusic. Described as a floating concert hall, they play a mainly classical repertoire five days a week all year round. 68 Jay Street is a laidback, neighborhood hang out that attracts an art-world crowd, while casually chic Olympia wine bar pairs locally sourced small plates with wine and cocktails. Finally, St Anne's Warehouse has become something of a performing arts institution. 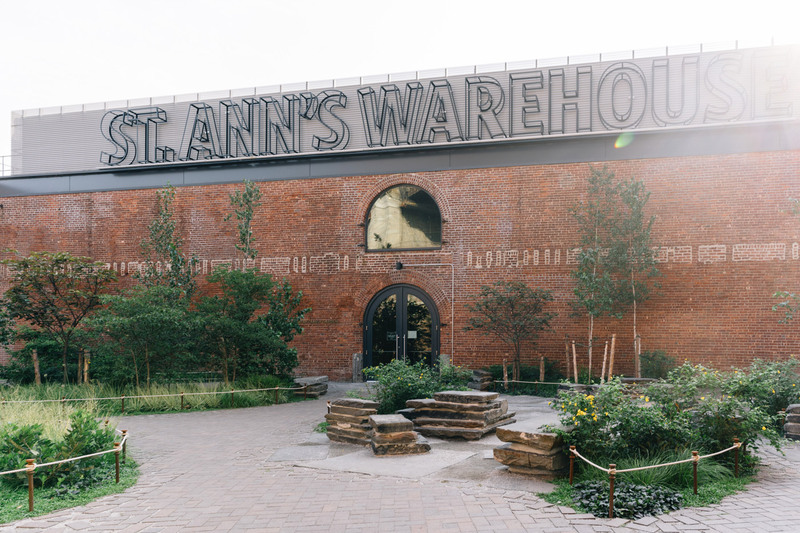 Housed in an old tobacco warehouse, it shows avant-garde works from around the world, featuring people as diverse as Lou Reed, Charlie Kaufman, and Mark Rylance.